endzoftheearth Organisers need to do something abt the mud! Stones, grAvel, cardbord boxes, plywood – something #sumfestismudfest. Being rained on all night long in a mud lake i can do without. The other good reason was that i got a good night’s sleep and was able to compile the first report on Reggae Sumfest Dancehall Night by anyone anywhere by 9 am on Friday morning. And the reward for that came in the number of hits i got on this new blog platform I’ve been trying so hard to get people to visit. 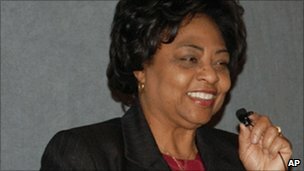 The third good reason was that i was able to accept the BBC World Have Your Say programme’s invitation to participate in their globally aired discussion on internet rights and wrongs emanating from the firing and subsequent re-hiring of American civil servant Shirley Sherrod. Sherrod had allegedly made ‘racist’ remarks in a two minute video clip that later turned out to have been edited in a way that removed the context of her 43 minute speech. Whose responsibility is it to verify the reliability of material such as this? On whom should the burden of proof fall and thereby the penalty for purveying such misinformation? Is information transmitted via social media such as YouTube or Twitter making us ‘jump the gun’ as Obama said when the White House was forced to apologize to Sherrod and offer her another job? As Obama put it “we now live in this media culture where something goes up on YouTube or a blog and everybody scrambles.” The word for this is ‘blogswarm’. So does the internet make us too quick to judge? Or is there wisdom in the blogswarm? asked BBC WHYS and the discussion that followed was a rich one that i was glad to be a part of. Also participating were former journalist Nigel Morgan of Morgan PR from Redding,UK, UK Guardian columnist, American Mike Tomasky, who is also editor of Democracy journal. Other participants included Andrew Keene, author of The Cult of the Amateur: How the Democratization of the Digital World is Assaulting Our Economy, Our Culture, and Our Values, blogger Lola Adesioye from the US and Owais Ehsan, student of mass media and a blogger at Pro-Pakistan, in Islamabad. The discussion was a lively one and was further enlivened by a caller from Jamaica, Omar, who made the point that it’s not only national media or internet bloggers that are guilty of posting misinformation but also international corporations; in Jamaica’s 2007 general elections, he claimed the BBC attributed something on their website to then Prime Minister Portia Simpson-Miller without verifying the accuracy of their source. It’s true that the rapidly proliferating use of social media frequently lends itself to distortions and misrepresentations. For instance in my blogpost on Reggae Sumfest yesterday in which i was relying on tweets from the location for information i think i misinterpreted a tweet about Bounty’s ‘state of urgency utterance, and presented it in a particular way because of that. I thought he was castigating the government for the prolonged State of Emergency and recommending that they have a state of urgency instead about other crucial unmet needs when it turns out that he supported the SOE and was urging the government to go further by declaring a ‘state of urgency’ “towards correcting the ills that had been meted out to the people of Jamaica by successive governments” to quote Gleaner writer Janet Silvera in her article Bounty preaches change. The point i want to make is that while social media may sometimes tend to be less than reliable, it also allows faulty information to be corrected before serious damage is done provided the source is above board, has no ulterior motive and is willing to make the necessary changes. This surely would be the case with most bloggers, tweeters and others whose popularity depends on the quality of what they put out. For the others, that is those who deliberately put out misinformation for propaganda purposes, and have no intention of retrieving the situation–in this case, Andrew Breitbart— a blacklist or some other form of aggressive disincentive should be developed. Click on the following link if you want to hear the whole discussion. Does the internet mean we’re too quick to judge? Previous Previous post: Scoop! 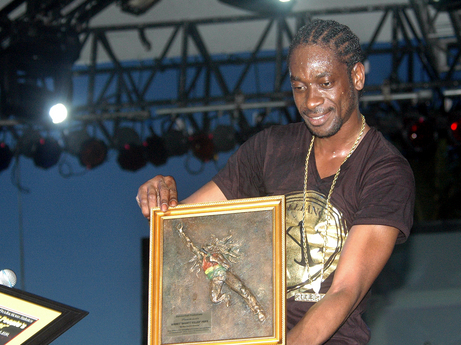 State of Urgency–Reggae Sumfest 2010 rocked!